What Character Would You Like to See Next in Super Smash Bros. Ultimate? 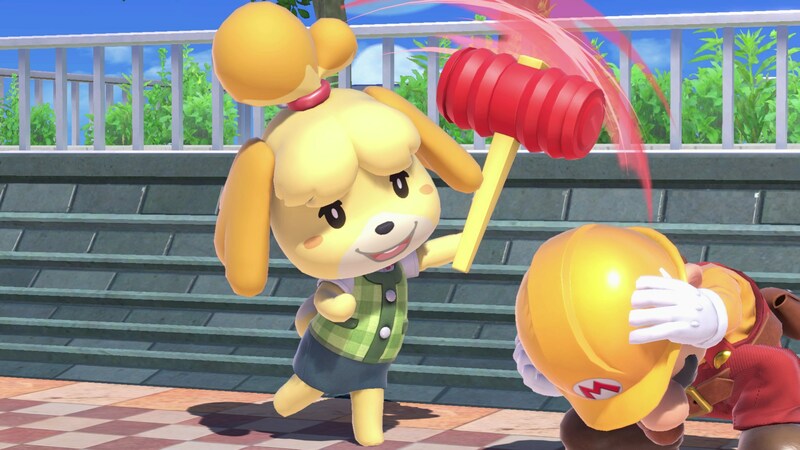 COMMUNITY QUESTION | Now that Isabelle's turned over a new leaf, who should be next? The end of yesterday's Nintendo Direct sure was a rollercoaster. When Isabelle first appeared on screen, my mind immediately raced to Smash. But then it lasted so long, so it went to the opposite end of a new Animal Crossing game, and then it ended up being Smash. And then it was a new Animal Crossing. It was too much for my little heart to handle. Anyways, it's been the cause for much discussion as of late, so let's turn this question over to you: What character would you like to see join the Super Smash Bros. Ultimate roster next? You can find our answers below. I don't really play Super Smash Bros. I understand its popularity with the community, but my fighting game elitism takes over (I call it what it is) and it's ultimately not the style of game that I want to play on a regular basis. My Nintendo kitbash game is Mario Kart; Hey, Nintendo, do more Mario Kart with Smash Bros-style rosters! 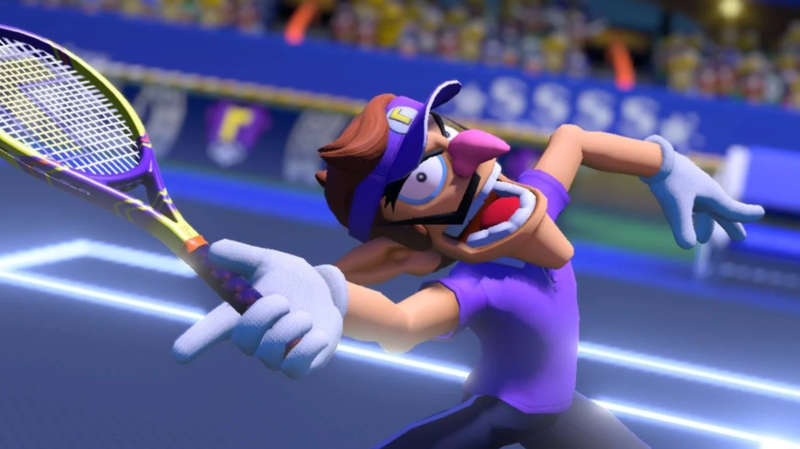 I'm going to drop Waluigi in here because I loved Waluigi before it was cool and he deserves to be a character in the roster. I also wrote an entire article on this very topic way back in 2015, so you can look there for some of my other choices. Other random choices: Professor Layton, the Elite Beat Agents, one of the characters from Arms, and maybe someone from Advance Wars, because that series deserves a little love. I've made no secret of the torch I carry for Quintet, but I don't think it'd be difficult to make an amazing Smash fighter out of Will from Illusion of Gaia. While I imagine his flute can be dismissed as a weapon for wieners in most contexts, we're talking about a series where people hit each other with bug nets and buckets. A flute is fine. But Will also boasts the power of transformation. Think about it: His dark knight form, Freedan, can hit hard. His inhuman form, Shadow, can dodge attacks. Then there are his inherent "Psycho" powers that let him predict attacks (take that, Shulk) and tap into psychic energy (take that, Ness and Lucas). Plus, Will is overall just a very interesting RPG protagonist who deserved more than one game. It'll never happen, but eh. The world needs more hopes and dreams (Oh, and speaking of: My second choice is Asriel from Undertale). When Bayonetta joined Super Smash Bros. I thought that was a good sign that we might one day see Travis Touchdown join the Smash roster. Both are M-rated heroes who enjoy trampling on the line of acceptable taste. 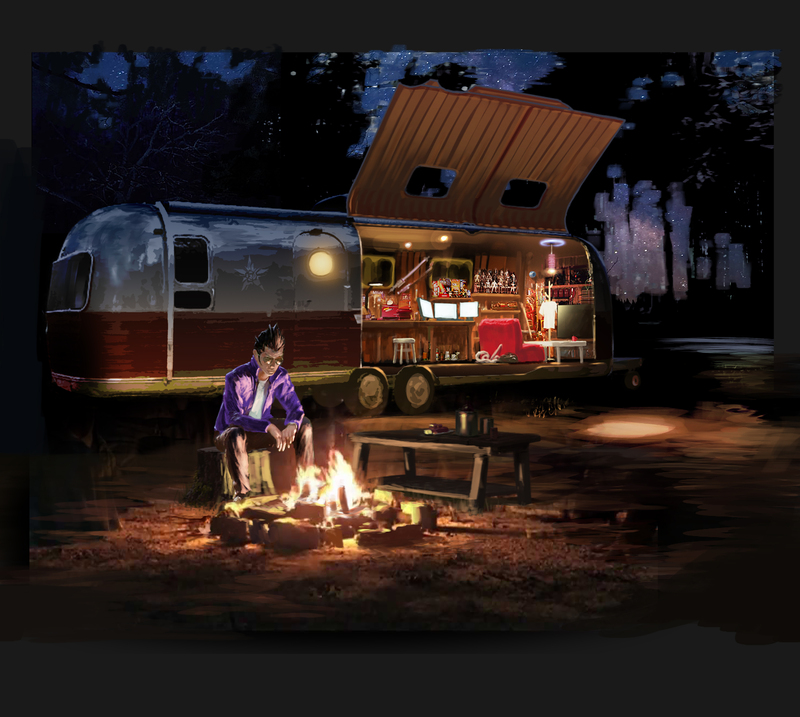 And if Bayo can make it in Smash, why not Travis? Still, if that doesn't happen I think I'd be okay with any number of third-party characters who've made it on a Nintendo console. Shovel Knight, Quote, and Shantae to name just a few off the top of my head, though two out of three of those characters are already in other fighting games. So I guess by default Shantae would be my top pick out of those three. Like Mike, I'm also not big on Smash. I've always been a Mario Kart person, though I look forward to playing Super Smash Bros. Ultimate for like a week when it comes out and then never touching it again, as per my tradition with the series. As for dream characters, I would love to see the Squid Sisters make an appearance. 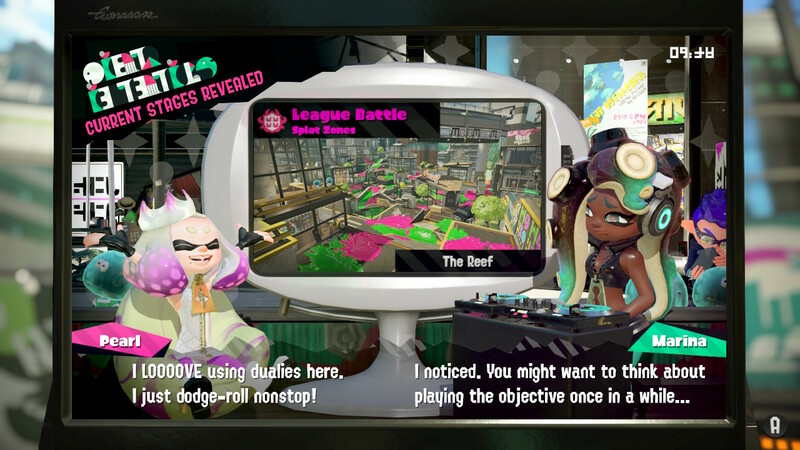 They could even have an alt costume that's Off the Hook's Pearl and Marina (as seen in the above screenshot). Considering Super Smash Bros. Ultimate is already bringing squid kids into it, a second appearance from the Splatoon series shouldn't be too much trouble—especially since there are like a dozen from Fire Emblem. I can already imagine the duo working together like the Ice Climbers, with a bunch of pop star-inspired moves. The now-defunct Nintendo Badge Arcade's mascot, the Badge Arcade Bunny, would be a cool, unexpected character to join Smash's roster too. The Badge Arcade Bunny, when the badge game on Nintendo 3DS was still operating, was full of great, timely quips and other silly antics. I can see the Badge Arcade Bunny turning into a IRL bunny in the midst of battle too, like they sometimes did in the software. Also, Goku. C'mon Nintendo, you made Cloud happen, so make Goku happen too.